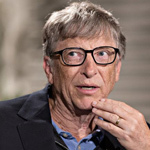 According to an interview from the Washington Post, Microsoft founder Bill Gates has suggested that if a pandemic comparable to the 1918 influenza outbreak, the US government would be powerless to stop it unless all American were prepared and vaccinated. Gates gave a talk at Massachusetts Medical Society which touched on many subjects including disease outbreaks and pandemics. The Microsoft founder claimed the U.S. government was "falling short" in preparing the nation and the for a "significant probability of a large and lethal modern-day pandemic occurring in our lifetimes." 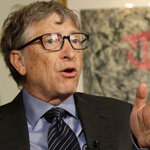 Gates said he had tried to convince the Trump administration to set aside extra funding for the Centers for Disease Control and Prevention in order to prioritize 'a national response plan' that would govern how resources would be deployed in an event of a pandemic. ZeroHedge reports: During the interview, the billionaire who appears to have gotten such a touch eccentric in his gray years, confirmed that he had raised the issue of pandemic preparedness with President Trump and that he tried to convince the president that he has a chance to lead on the issue of global health security. According to Gates, Trump told him to raise these issues with officials at the Health and Human Services Department, the National Institutes of Health and the Food and Drug Administration. Gates said he also met with HR McMaster, who was ousted as National Security Advisor last month, and he hopes to meet with McMaster's successor John Bolton. He is probably the only one. 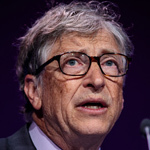 Gates, whose Gates Foundation focuses on public health initiative, has shifted his focus in recent years to international pandemic awareness and preparation. To be sure, he's not the only one who believes the developed world is dangerously ill-prepared to beat back such a threat. 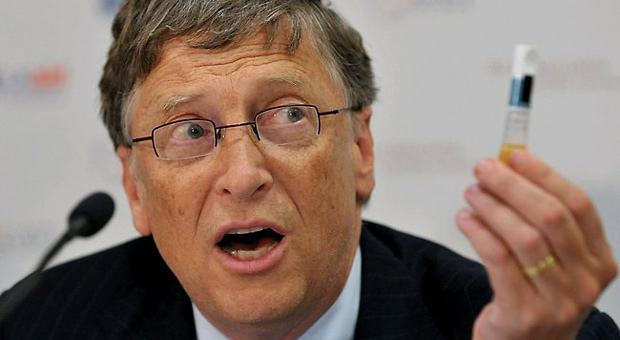 Gates and his wife, Melinda, have repeatedly warned that a pandemic is the greatest immediate threat to humanity. Experts say the risk is high, because new pathogens are constantly emerging and the world is so interconnected. Many experts agree that the United States remains underprepared for a pandemic or a bioterrorism threat. The government’s sprawling bureaucracy, they say, is not nimble enough to deal with mutations that suddenly turn an influenza virus into a, particularly virulent strain, as the 1918 influenza did in killing an estimated 50 million to 100 million people worldwide. In those remarks, Gates highlighted scientific and technical advances in the development of better vaccines, drugs and diagnostics that he said could revolutionize how we prepare for and treat infectious diseases moving forward. 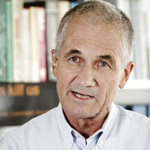 He praised last year’s formation of a new global coalition, known as CEPI, to create new vaccines for emerging infectious diseases. He also announced a $12 million Grand Challenge in partnership with the family of Google Inc. co-founder Larry Page to accelerate the development of a universal flu vaccine. Among the advances in these areas are a new influenza antiviral recently approved in Japan that Gates said "stops the virus in its tracks" by inhibiting an enzyme it needs to multiply; research on antibodies that could protect against a pandemic strain of a virus; and a diagnostic test that harnesses the powerful genetic-engineering technology known as CRISPR and has the field-use potential to check a patient’s blood, saliva or urine for evidence of multiple pathogens. That test could, for example, identify whether someone is infected with Zika or dengue virus, which have similar symptoms. Trump and senior administration officials have affirmed the importance of controlling infectious disease outbreaks. But the Centers for Disease Control and Prevention is facing a loss of emergency funding provided in the wake of the 2014 Ebola epidemic and has begun to dramatically downsize its epidemic-prevention activities in 39 out of 49 countries where disease risks are greatest.